How to automatically set permissions on image files? But it doesn't do anything. How would I go about doing this? Re: How to automatically set permissions on image files? WinSCP does not support filetype-specific rules. Oh, I assumed that's what the file mask was for... what's the file mask do, then? 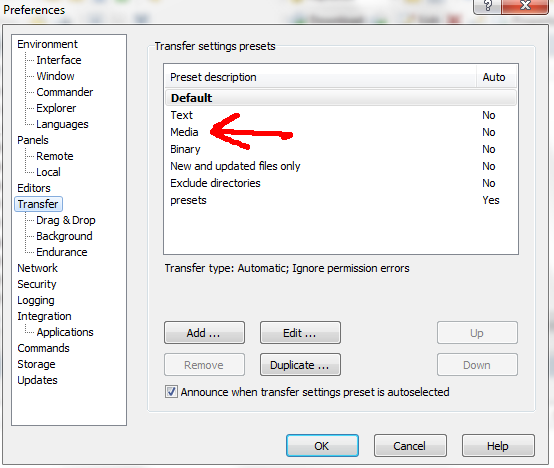 In the File mask you can specify file mask to select/deselect files (or file types) and directories for the transfer. The option also selects files for synchronization and Keep remote directory up to date function. 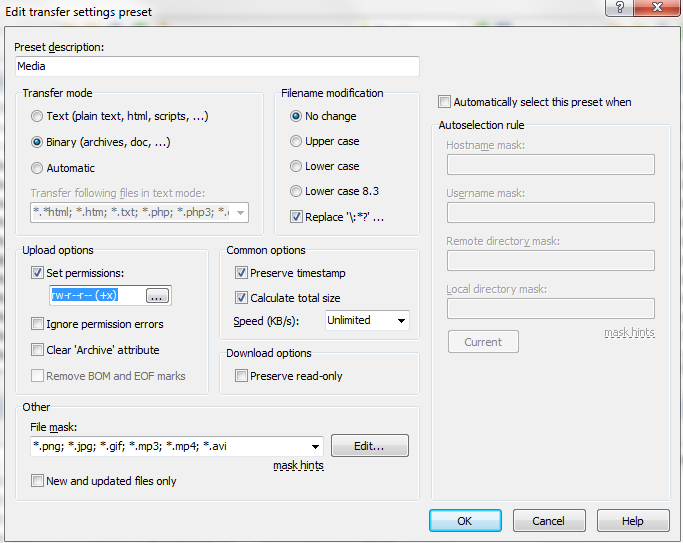 Press Edit button to edit the file mask in File mask dialog. So if I had a mask for those files, and then selected the permissions, it wouldn't set the permissions on those file types when I uploaded them? Sure. But it won't upload the other files at all. My intention was to have the "media" rule catch media files and set them to 644.